Slightly chubby, acne dotted Charlie lives in a quaint New Zealand coastal town where nothing much ever changes, which is good because he wouldn’t be very happy if it did. He still lives with his mum and works in a bookshop with Pete, an old guy who hides the sugar in the toilet and is often seen running down Main Street with a metal bowl for a helmet on his head, as he thinks the country is at war. It may not seem like a terribly exciting life for your average early twenties bloke, but Charlie’s content, until the day Pearl blows into the bay with a secret to forget and an intense desire for solitude. Charlie’s not having any of that though, and sets about to win her heart with a persistence and determination his ex-teachers thought him totally incapable of. Will Charlie win his girl? Will they get their Disney Happy Ever After? Or will Pearl’s secret come back to haunt them and bring tragedy to all. 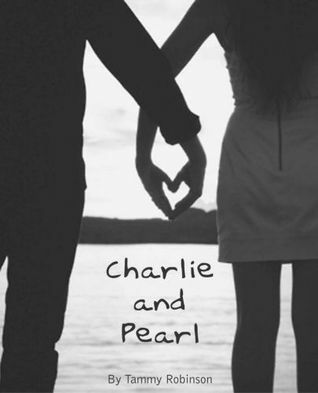 Charlie and Pearl is story of unconventional love; of finding that spare part you never knew you were missing, and of what happens when love is simply not enough. 24 year old Pearl has been through some traumatic experiences as of late and so by residing at her Gran’s beach house for a while, she gets to relax and try to get away from everything back in the city. 24 year old Charlie has lived in the quaint New Zealand coastal town all his life. He lives with his mum, has worked at a bookshop since he was 13 and has a close relationship with the owner – Pete – whose health is slowly deterring and Charlie looks out for him. He’s content with his life – albeit it’s a little quiet but he makes what it is of it, until Pearl arrives and he’s instantly attracted to her, but Pearl isn’t looking for a relationship. Charlie sets out to win her over with such determination that it would be hard to constantly turn him away. Although Charlie does get his girl, Pearls secret has come out in the open and is destined to hurt everyone. Will Charlie stick with her through thick and thin? Will they get their happily ever after? I’m really glad that Tammy emailed me asking me if I wanted to read and review Charlie and Pearl. Although its only 120 pages long, so a short read, so much happens in the short time you are reading it. There are twists and turns and a whole lot of love included throughout the story. Set in New Zealand, Tammy supplies so much imagery that you will feel you are at the beach town along with Charlie and Pearl – it made me want to be there and experience the town as it seemed heavenly and just what you would need to go and relax somewhere for a while. Charlie is a sweet guy. He’s easy going, has a big heart and he’s content with his life. When he first sets his sight on Pearl, it was pretty much love at first sight. He then does whatever he can to try and win her over, even when Pearl just wants to stay friends; it would be hard not to enjoy the attention and admiration that Charlie was pouring. Pearl flicked a switch in Charlie and it seemed that they were meant to meet and relish in life together and Charlie never seemed happier than when he was around Pearl. Until the dreaded secret came out and everything changed, apart from Charlie’s feelings for Pearl – nothing could stop his love for her. Pearl is a soft soul but she comes with some heavy baggage too. She’s had some heartbreaking news – which you find out near the start – to which she has come to the beach house for a while to get away from the city and to try and forget what has happened. BUT that is not her secret, oh no, you find that out near the end. MAJOR PLOT TWIST. She’s not looking for a relationship, but even she can’t turn away from the attention that Charlie is giving her and she eventually falls for his persistent. Pearl just wants to live life to the fullest and experience everything it has to offer which is why both her and Charlie fitted perfectly together. The book is written in alternative POV’s and you got an insight into how each other were feeling throughout the book about one another and themselves and the events unfolding around them. Tammy made the characters come to life and you really feel attached to both of them that when everything unfolds you feel the heartbreak and the emotions from both Charlie and Pearl. The story is both comical and emotional but that is what made it a great book to read. It makes you treasure all that you have and can do in life as well as finding the person that lights up your life, no matter how much you didn’t want to. It’s about two young adults trying to figure out their way in the world and how they both fit together right up until the end where everything changes. The end! Oh the end. Now THAT I was not expecting at all! When you seem to think something is going to happen, it takes another twist and goes the other way. Yes I cried because, as I’ve said you become attached to the characters and the pain pouring from both of them is heartbreaking and you just want to hug them both and tell them that it will be okay, even when it’s not. This is a great debut book from Tammy Robinson, and everyone should get their copy and read it! It is a short read, but it’s packed with EVERYTHING! Love, drama, secrets; there is something for everyone. It beautifully written and I shall be awaiting the next book from Tammy now. Definitely recommend Charlie and Pearl. wow what a fantastic, in-depth review Zoe. Thank you so much!